Acts 15 recounts the experience of those involved in the Jerusalem conference, which took place approximately A.D. 50, about fifteen years after the conversion of Paul. Some members of the early Christian church, seemingly the majority were converts from the Pharisees, believed that to be a Christian one had to keep the laws of Moses, including circumcision. These Mosiac requirements included ritual immersion, circumcision, and the dietary observances of the Law of Moses as well as many other rules followed by the Pharisees. Ye know how that a good while ago God made choice among us, that the Gentiles by my mouth should hear the word of the gospel, and believe. And God, which knoweth the hearts, bare them witness, giving them the Holy Ghost, even as he did unto us; And put no difference between us and them, purifying their hearts by faith. Now therefore why tempt ye God, to put a yoke upon the neck of the disciples, which neither our fathers nor we were able to bear? But we believe that through the grace of the Lord Jesus Christ we shall be saved, even as they (Acts 15:7-11). Peter’s instruction is accepted. The converts to Christianity need not practice the Law of Moses, it is not needed for salvation. James, the brother of Jesus, proposed detailed instructions that could be put in force along the decision made by Peter. Essentially James asks that Gentile converts abstain from pagan practices that were common among the Gentiles of his day (Acts 15:13-20). 1. Our modern dietary law is tailored to the circumstances of this dispensation. We no longer live the dietary laws associated with the Law of Moses. 2. Plural marriage, while practiced for a short time in Church history, has been abandoned. This came as a result of a revelation from a prophet of God. 3. The restriction on preaching the gospel to the Gentiles given by the Savior in Matthew 10 was later removed when the Lord instructed Peter to take the gospel to the Gentile nations in Acts 10. This counsel given to the church by Peter would have been difficult for many of the Pharisees to accept. Although we do not always understand why the Lord gives all commandments, a true principle to remember is that if we obey in faith, we will one day see why things are so. Truly, believing is seeing. This is not an invitation to blind obedience, rather it is an invitation to seek the Lord in confirming our faith as we obey not knowing all things. As we do this, we will see with greater vision and grow into understanding the mind and will of the Lord in our lives. A great video to share with this block of scripture comes from Elder D. Todd Christofferson entitled, “The Will of God” – located here. 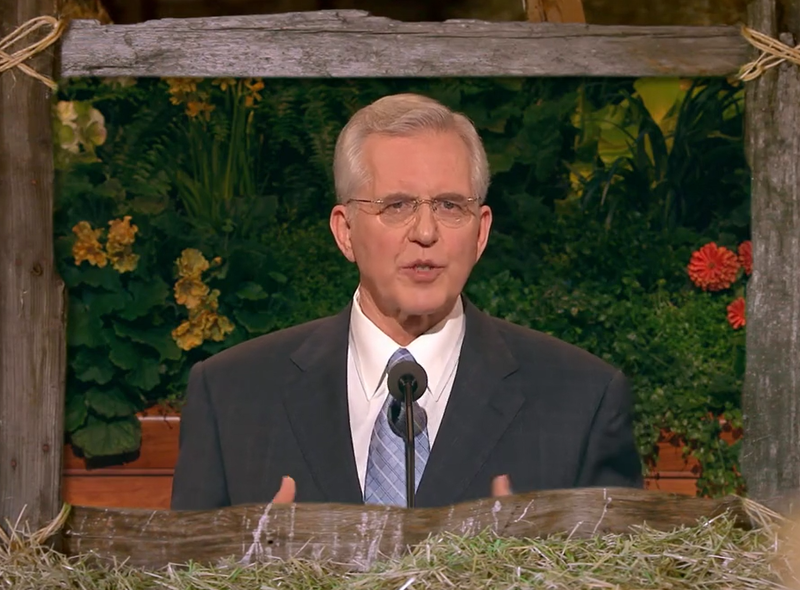 In this video, Elder Christofferson shares the story related by Elder Hugh B. Brown where he is passed over on a promotion as general in the Canadian army. This rejection caused Elder Brown great distress, yet it was in line for the plan the Lord had for him. What we want isn’t always in line with what the Lord has in store for us. If we listen to his voice, we can come to know his will for us in our lives. The following commentary by Robert J. Matthews, although not shared in class, really helped me to see the implications of statements made by the Brethren as the church continues to grow. The decision this council made in 50 A.D. had far reaching implications, and how it was worded would effect the growth of the church. The same can be said today as we work in most difficult times in these latter days. As forward-reaching and beneficial as the decision was by the Jerusalem Council, it was limited in its scope. The council did not decisively declare an end to the law of Moses, though it did settle the matter so far as the Gentiles were concerned. Furthermore, the council’s epistle was not addressed to all members of the Church—only to the Gentile members in Antioch, Syria, and Cilicia. And it should be noted that the council did not say the Gentiles could not‍ or must not‍ practice the law of Moses—only that they need not‍ do so for salvation. Why would the Brethren be so ambiguous and noncommittal? They seemed to have said as little as they could about the matter. Was it that they wanted to avoid a division in the Church and did not want to alienate the strict Jewish members? Did they not want to invite persecution from Jews outside the Church? James seemed to have had this in mind when, after announcing the moderate decision of the council, he said, “For Moses of old time hath in every city them that preach‍ him, being read in the synagogues every sabbath day” (Acts 15:21). 1. Robert J. Matthews, A Crisis, A Council, and Inspired Leadership. Ensign, October 1995. This entry was posted in New Testament, Receiving Revelation. Bookmark the permalink.